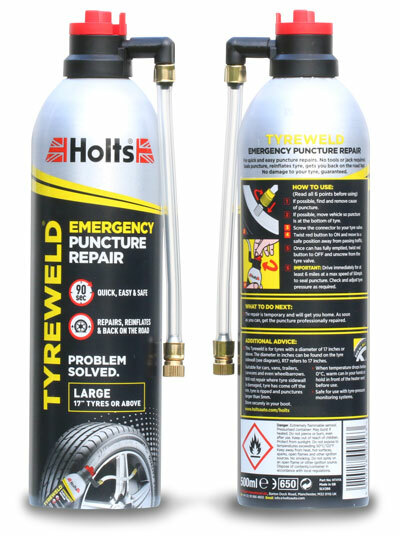 A redesign for Holts Tyreweld was an opportunity to update the instructions and other back-of-can copy. We refined their text and queried a couple of points that wouldn’t make sense to non-specialist users. Why, for example, would you ‘move to safety’ once you’d switched on the can? Answer: to be away from passing traffic not because the process is unsafe. And since we’re motoring ignoramuses, we had no idea how to tell the size of car tyres. The result is an amalgam of Holts’ copy and ours – and much clearer for that shared effort.